The twists and turns that come up on the journey of life are always surprising. It isn’t like the new cars of today that have the sensors all around them that start flashing lights and talking to you warning you of things that are coming. Wouldn’t it be great if humans were equipped with this capability? To be able to prepare and be proactive rather than reactive? But alas, God our creator didn’t see any need to add this feature to our design. So, surprises must be a required part of our journeys. For me the surprise twist in my road seems to be that God has been using me to preach. Never in a million years would I have expected this. In fact, over the years, I have been adamant that I could never be a preacher and had no desire to give a sermon….EVER! Yet here I am, preparing to start writing my sixth sermon message in seven months and plans for a seventh one to be given in May. Our God works in very mysterious ways indeed! When I first began to feel that God was calling me to change and to begin something new I was excited. All indications seemed to point to being a writer. This all seemed very romantic to me as I recalled all of my childhood literary heroines. It was like being invited to join the ranks of Laura Ingalls, Jo March and Anne Shirley! As a result, Wisdom Wanderings was born! It was this urge to write that led me to become a C.S. Lewis Institute Fellow. I entered into that year of intentional discipleship expecting to learn more about myself and to also gain a firmer understanding of my faith, what I believe, and who I am as a child of God. All of these possibilities excited me and I just KNEW I would come out of that year of study a better, more competent writer. It doesn’t surprise me that all of these expectations were the outcome – I do have a firmer understanding of what I believe and a much deeper faith – but I am very surprised that the writing I am doing the most of since completing year one of my fellowship time is sermon writing! Not a bestselling book helping others to find the deeper faith that I did….Sermon writing. All of this sermon writing has me wondering where this road is going to. Again, there is no sensor to give me any indications of what is coming. It would seem that a perfect storm of events, a.k.a God’s timing, has placed me in a church that is currently seeking a new pastor. This vacancy has given me the opportunity to preach occasionally. However, we will eventually find a pastor, and that leads my mind to wondering what comes next for me? God always has a purpose. This time of sermon writing and giving are preparing me for something. Only time will tell what God is currently equipping me for. 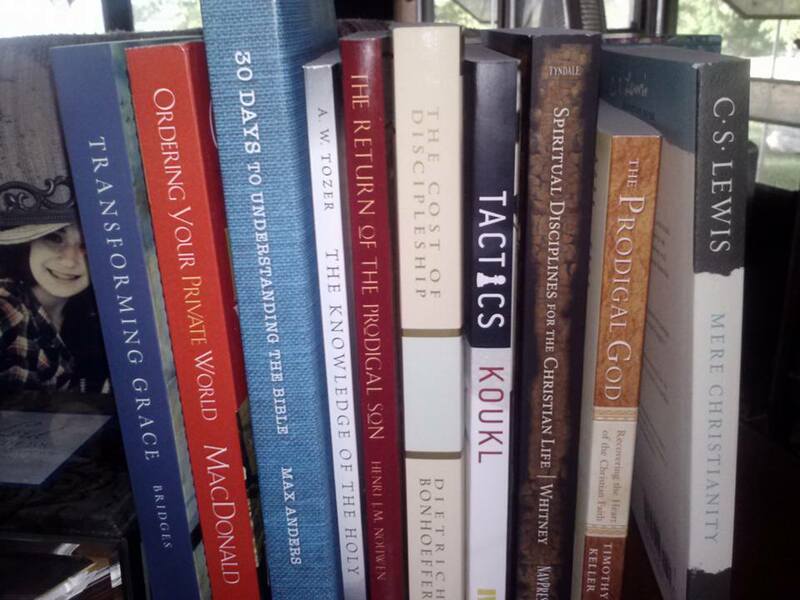 Could there really be a future for me in some kind of preaching or teaching capacity? I can’t in the foreseeable future see any opportunities for either preaching or teaching outside of my own church. God works in mysterious ways and in his own perfect timing. Although preaching and teachings God’s word from a pulpit weren’t a part of my plans, they seem to be part of God’s plan for me. To truly be his disciple I must heed the call and follow his plans rather than my own. After all, his are always infinitely better! I will continue to trust and hold on as I come around the next bend in my life and be willing to be open to whatever God has around that bend for me. Modern life is definitely fast paced. We have cities that never sleep. We race around until we are about to have a nervous breakdown because we are out of time and energy and there are hardly any items checked off of the to do list. Why? Why are we stressing ourselves so much with a multitude of demands on our time? It most likely comes back to our western culture. Our values include things such as more is better and survival of the fittest. We have become so used to the frantic paces of our lives that we struggle to spend any quiet time because it leaves us feeling like we should be busy. That we are somehow being lazy. We have forgetten how to engage in sabbath times. This is greatly affecting our ability to spend quality time in relationship with God. It pains me to admit it, but I am in this category. I consistently struggle to find space for consistent prayer times in my life. I have the best intentions, but still continue to be more of a conversational prayerer more than anything else. By this I mean that I have little conversations with God throughout the day. For example when I am in the car driving to or from work. Or when I am in the latest battle of wills with Mr. Max (my son). When I lay down in bed at night. I also frequently do what Mr. Miller refers to as breath prayers, which are quick phrases said in a single breath (pg 68). So it is not unusual for me to say a quick prayer like, “Lord give me strength” or “Lord help me learn patience” as I go about my day. However, a quiet time of prayer daily seems to still be eluding me. I am determined to change this because I can feel the presence of God during these quick times of prayer, and it makes me want to have that feeling more often! I tend to be a highly emotional person who can be a little high strung. How much more effective could I be as a woman of God if I could feel his calming presence more regularly in my days? These areas of my life take up a huge chunk of my time. I am pretty sure that no matter how hard or how often I pray for it, God will not provide me with more hours in the day! So that means I am going to have to be more intentional with my time if I want to squeeze it all in. As the busy season for me at work dies down I am now going to turn my focus to this list of priorities in my life. They are all important areas of who I am and who God is calling me to be. So cutting anything from this list isn’t an option. So what can I do to make these things happen? To start with, I need to take a look at the distractions in my life. One important item to cut are the ministries that I am involved with that God is no longer calling me to be a part of. I have struggled with this greatly these past couple of months. It has been a hard lesson for me to learn that while all ministry endeavors are good not all of them are part of God’s plan for me at this time in my life. Have you ever read the poem about people who come into your life? Some are there for a reason, some for a season, and some are there for life. I have discovered that this also applies to ministries I am involved with! Some I have been called to for a reason. God had a lesson for me to learn there, but now it is time to let the ministry go because I have received the intended lesson. Others I have been called to for a season and will continue with these areas, like being a worship leader. And still others I will be a part of for life. So I have been slowly learning to let go of the areas of church life that I served in for just a reason or a season that has now ended. These have been some of the hardest lessons I have learned to date. In addition to these two items, I realized that I will also need to be more intentional with our weekly meal planning. I need to be considering healthy meal choices while also keeping in mind prep times. This will enable me to quickly take care of meal times for my family but also leave some free space in the evenings. Most likely I will need to keep coming back and surrendering myself in prayer for the Father’s guiding hands in my life as I plan out how to use the valuable time he has given me each day. This balancing act has been and will continue to be a struggle for me, but this time I am giving it to God and asking for his help. I can do all things through him who gives me strength (Philippians 4:13) when I take the time to be still and know that he is God (Psalm 46:10) and his plans for me are for my welfare and will give me hope for the future (Jeremiah 29:11). For the past several months I have been struggling to discern what God is calling me to do. I had spent many hours in prayer, sought the counsel of prayerful people, started a blog, but still couldn’t quite figure out what that little, quiet voice was trying to say to my soul. Until we had a guest speaker in our pulpit. The visitor was from the C.S. Lewis Institute and his goal that morning was to introduce our congregation to his local office in Youngstown. He talked about what the Institute was and the need for discipleship. He was a very interesting speaker and passionate about his topic! I couldn’t believe we had such a great place in such close proximity to us. Then he mentioned that the Institute also offered a fellows program. Intrigued by the few comments he had made about the Fellows program I wanted to know more and stopped by the information table that was set up. The very lovely wife of our guest speaker provided me with a wealth of information about this program. The Fellows program is a year-long structure for people who want to learn more about discipleship and apologetics. It involves a monthly time commitment, extensive reading, meeting regularly with a small group, and one on one time with a mentor each month. It sounded a little overwhelming, but I put my name and email on a list of people who would like to receive more information, but I wasn’t convinced this was for me. I went home inundated with new thoughts and questions. All at once I realized that this could be the answer to all of my prayers, and began to talk about it in earnest with my husband. He agreed that it did seem like the kind of program I would love, and he encouraged me to continue to pray about it. It did indeed seem that this was all part of what the Spirit has been nudging me to do. The application process was intimidating to say the least! It started with a six page application that required essay type answers to questions about where I was in my spiritual life, how often I read my bible, what the quality of my prayer life was like, and what kind of spiritual gifts was I given? In addition to the application I completed, I had to find two people to complete recommendations for me. One had to be from the Pastor and the other from a person that has known me for a while and can attest to where I am currently at in my journey. After all of the paperwork was in, I continued to pray as I waited for a response. It came in the form of an interview request, and on a bright sunny afternoon in April I entered the offices of the C.S. Lewis Institute in Youngstown for what turned out to be a half hour interview. Then the wait began in earnest. I was started to doubt that I had received the correct message from the Spirit. Each day I eagerly stopped at the end of our driveway to check the mailbox. For anyone that knows us well, they know that we rarely check our mailbox on a regular basis because all of our bills and expenses come electronically. So the box is normally overflowing with flyers and junk mail before we get it. But for three long weeks I was a faithful attendant to the poor little mailbox at the end of our driveway that is missing its little door. Finally a letter arrived, and it was good news! Such an awesome feeling to see how the hand of Providence moves! All the things that I have been seeking will be tackled in this coming year. So many expectations are building of what the coming year holds in store during this journey. First and foremost is a better understanding of what I believe and why that will lead to a deeper, more meaningful faith. One that will sustain me better in the storms of life and will draw me closer to my Maker. My hope is that this program will help me overcome my “yes” person ways, allowing me to become more focused and intentional in everything that I do. For the past few years I have been a Martha, scurrying to do every task that comes my way. Now the time has come for me to be Mary, and sit at the feet of the great Teacher and learn his ways. All of these things combined will help me to be better able to disciple and relate to those around me. It will give me the confidence to lead our youth in Sunday school knowing that I can help them find their way. The knowledge on theology and apologetics will also be greatly beneficial in my role as a worship leader. The writer in me is eager for so many new experiences. Perhaps this will be just the ticket to help me identify what my gifts are and how best to use them! On a warm morning at the end of May, with great trepidation I began to share the big news. I had never before shared anything that related directly to me before my church family. However that morning the story above came spilling out. The support and love coming back from them is beyond fantastic. Orientation for the 2015-2016 Fellows program is just a few short weeks away. I can’t wait to dive in head first! Some of my books have begun to arrive and the required reading has begun! Looking forward to the adventures Yahweh has in store! With the changing seasons, I find new and unexpected changes are springing forth for my little family. We are in the negotiation process with lawyer and bank to finally purchase a home of our very own. Hallelujah! Good is God and he has showered us with many things to be thankful for already, but we can definitely feel his hand at work in all of this. Another big announcement is that I recently discovered that there is an office for the C.S. Lewis Institute located nearby. They offer a Fellows program that is one year-long commitment and focuses on apologetics and discipleship. I have been busy applying to be part of this. Any prayers would be appreciated as I await the decision of whether they will accept me into the program or not. Fear not, dear readers! I have not disappeared or fallen off the face of the earth. Nor have I become discouraged and given up the idea of writing. As the awesome plans above come together things will begin to be posted on a more regular basis. Only time will tell how all of these events will play out, but I have no doubt at all that God is taking me and my family exactly where he wants us to be. We are listening to his call and ready to go at his command.